As a contractor your competitive environment can be a dog eat dog world. Any way you can gain an advantage can be the difference between merely surviving and becoming the biggest dog in the yard. 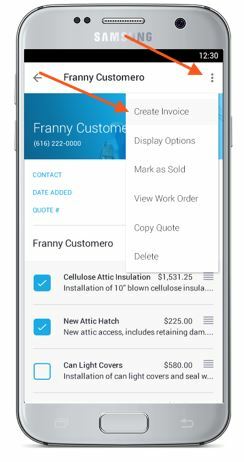 If you’re searching for a real difference maker for your business, the JobFLEX invoice app might be just the thing. The JobFLEX invoice app can help you answer all of the following questions. 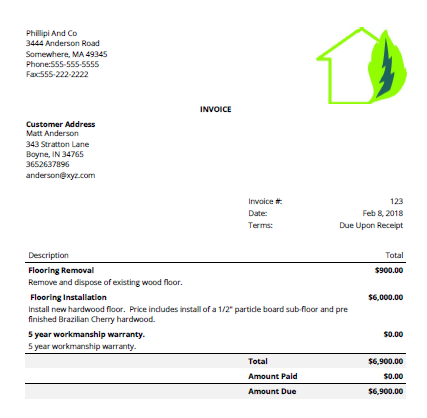 How can I make my invoices look more professional? Terms and conditions are consistent. Details are in a template to reuse, fewer typos and mistakes. Nothing is handwritten, you look like a modern outfit, even if you’re only a one or two-person business. It’s 2018, if your competitors are still offering up hard to read, sloppy, handwritten invoices and estimates, customers are going to be disappointed. With JobFLEX, every invoice comes out looking great, and in return your business does as well. 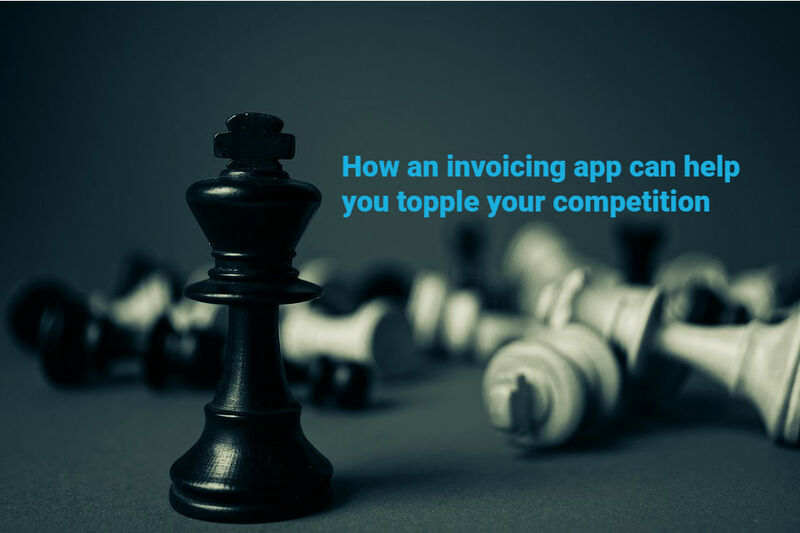 How can I speed up my invoicing process? As soon as you finish the job you can email a PDF invoice before you’re on the way home or to your next job. Quickly look up the estimate within JobFLEX and with only a few taps you can turn that estimate into an invoice and send it. Why wait until you get back to the office or put off invoicing for another day? How can I get my customers to pay faster? JobFLEX lets you include your payment terms consistently in your estimates as well as your quotes, and lets you include any late payment penalties. When your customers receive their estimates quickly and all the payment terms and penalties are laid out, you’ll notice that you get paid a lot sooner and your cash flow will improve drastically. JobFlex’s reporting features also allow you to run reports in seconds to look for outstanding payments so you can follow up on those. While your competitors sift through handwritten paper records or cobbled together spreadsheets trying to figure out who hasn’t paid and why they can’t make payroll, you can be working on your next marketing campaign or hell, maybe taking a day off to relax. How to protect yourself against slow paying or non-paying customers? Non-paying customers, or too many late paying customers can sink your business. 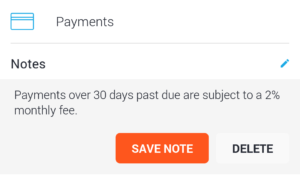 That’s why we always recommend that payment terms and late fees are explicitly spelled out on both invoices and estimates. Of course, while your competitors might still be making each invoice from scratch, you can rely on JobFLEX which allows you to build these items into your estimate and invoice templates and save them so they’re consistent and binding for every signed estimate. In the event you need to take a customer to court for payment, you’ll be on solid ground knowing that the signed estimate includes your correct terms and late payment fees that they agreed to in writing. It’s time to stop playing the game and focus on winning. Take the bull by the horns with the JobFLEX invoice app and start laying waste to your competitors. If you don’t make the first move on improving your estimating and invoicing, someone else will. Start today with a no-risk free trial.